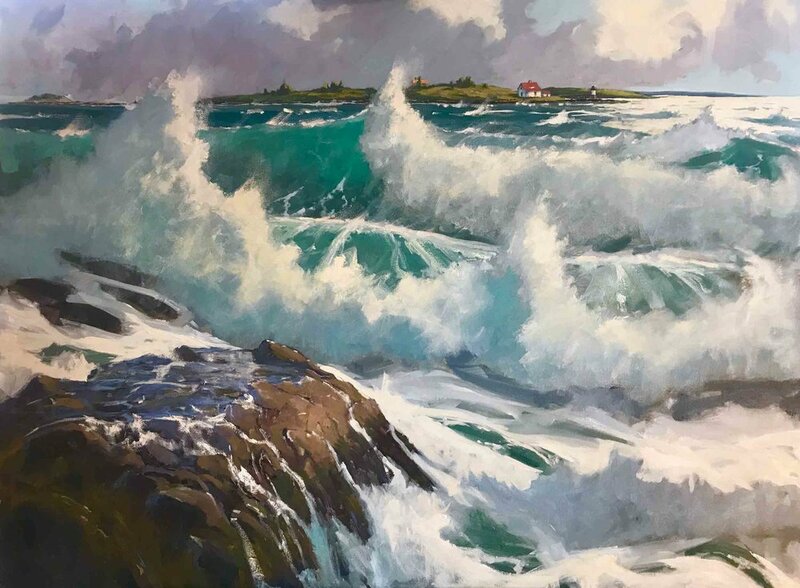 Storm Surf on Ocean Point is a 30” x 40” commission. 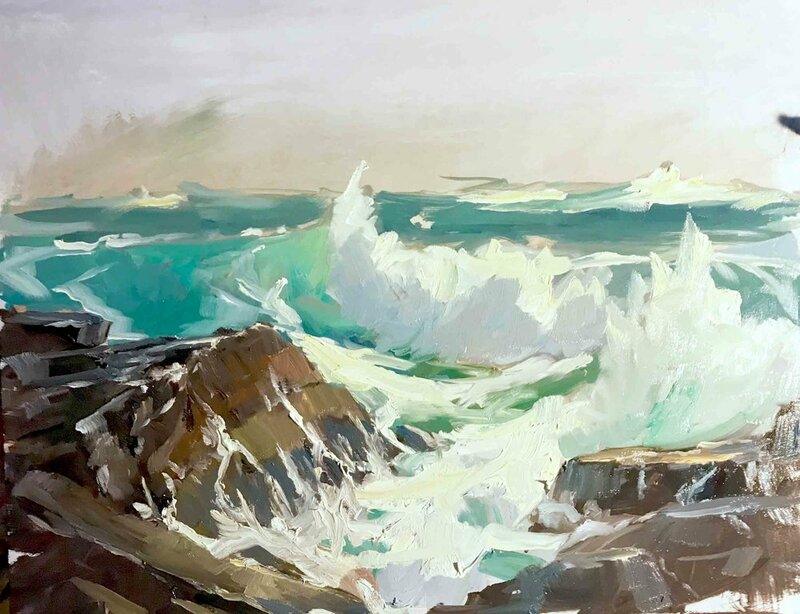 The clients requested a painting of surf that was powerful yet reflective of the beauty of Ocean Point. 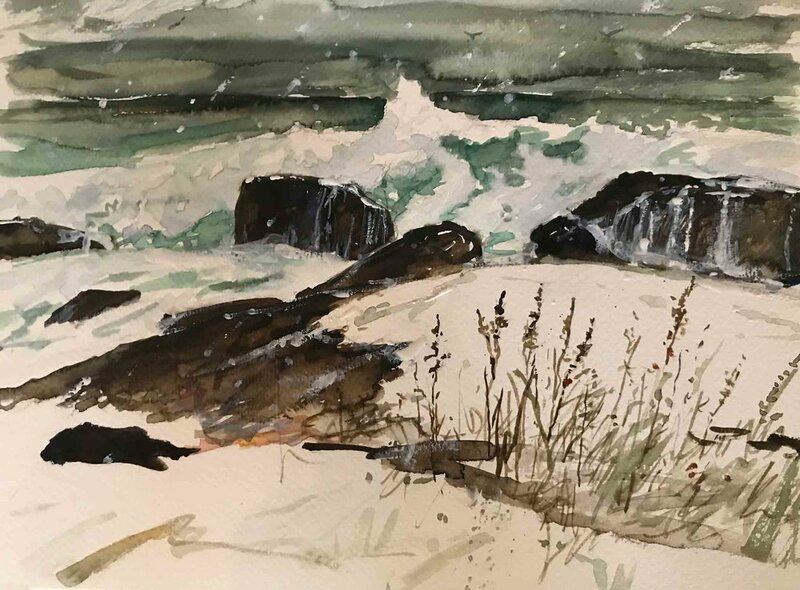 I did 6 plein air and studio studies of the surf and rocks at one requested location until I found the composition I was looking for. 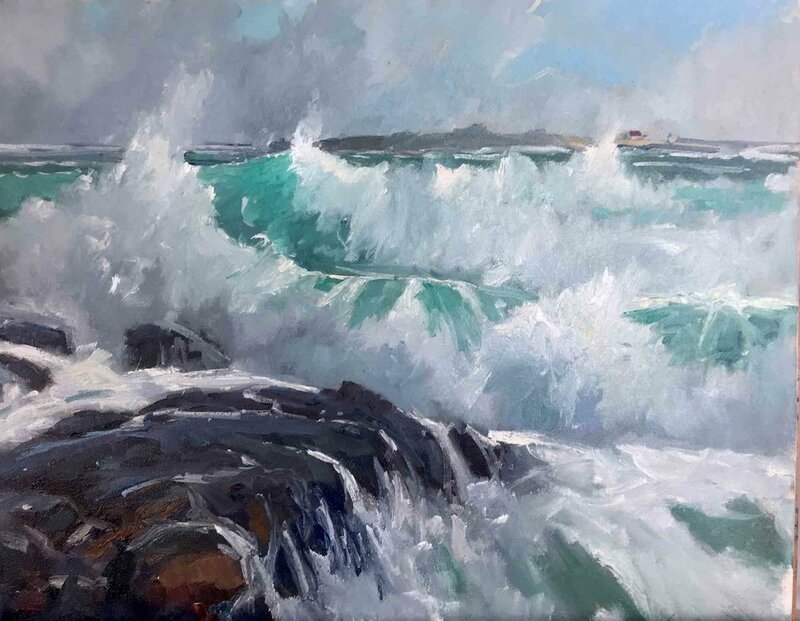 In the final painting, I attempted to capture the power of the incoming surf: distant white caps, a translucent wave just beginning to break, another curled and crashing against the rocks. To achieve the beauty, I focused on the time just after a storm, when the sea is still churning rough and wild but the skies are parting and peaks of sun are breaking through the clouds and lighting up the rocks and water in a moment of promise. I also strived to capture the sense of calm that we witness in even the wildest of storms… between the crashing waves, when water pools in soft reflections and gently spills like waterfalls.